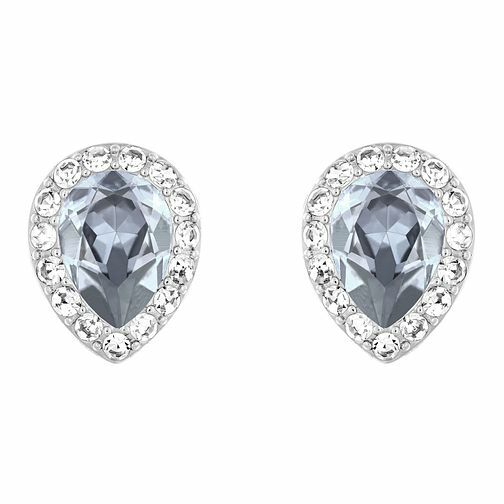 Lavish stud earrings adorned with blue toned pear shape crystals and framed with clear sparkling Swarovski crystals. Classic and sophisticated style. Swarovski pear shaped stud earrings is rated 4.3 out of 5 by 7. Rated 3 out of 5 by Anonymous from pretty earrings they are a lovely shape and very sparkly , but the blue that was supposed to be at the centre really didn't look blue at all , hence the score wasn't the best.